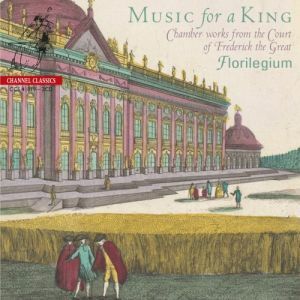 Music for a King: Chamber works from the Court of Frederick the Great – NEW! Frederick the Great himself is known to have composed one hundred and twenty-one flute sonatas, four flute concertos, a symphony, various arias and an overture. These works were written in the mixed style advocated by Quantz in an attempt to blend Italian music of the senses with French music of reason. The king’s love of music was real and genuine, and he desired and ensured that others should enjoy it in the same way. As a performer he was probably one of the most distinguished amateurs ever. As a composer he wrote nothing eminent or really original, though some pieces exuded a certain beauty and charm. 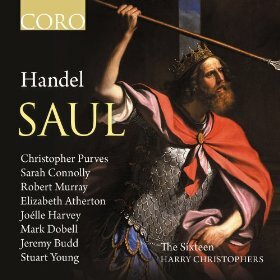 However, this recording promotes the extraordinary talent of the musicians and composers he surrounded himself with at court, the luminaries of the 18th century, all brought together by one of the greatest musical patrons that ever lived. Bach Cantatas Nos 106 & 182 – NEW! Johann Sebastian Bach may only have been in his early twenties when he wrote it, but Cantata No 106 (the ‘Actus tragicus’) is a profound contemplation of things final; the motet Komm, Jesu, komm occupies similar eschatalogical territory. This is an inspired programme of some of the most moving vocal music ever written. Sweeter than Roses – NEW! 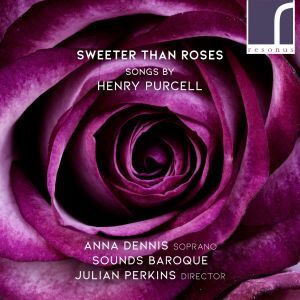 Julian Perkins and Sounds Baroque join soprano Anna Dennis for this celebration of the songs of Henry Purcell. Known for his undisputed mastery in setting the English language, Purcell also absorbed influences from both the French and Italian styles. Our programme is complemented with Purcell's close Italian contemporaries who also worked in London – a guitar suite by Francesco Corbetta, performed by James Akers, and a harpsichord suite by Giovanni Battista Draghi. Also included are two songs by the earlier Stuart court composer Henry Lawes. Audio samples and booklet are available at Resonus Classics. 'Julian Perkins' article in the booklet explains how the selection of material on the disc was made to bring out the sheer variety of Purcell's songs. So here we have the simply beautiful, Sweeter than Roses and An evening hymn, with Anna Dennis' lovely sculptural approach to the vocal line, or the dramatic intensity of In the black dismal dungeon of despair and the narrative delight of On the brow of Richmond Hill. Dennis combines a surprisingly strong toned voice, with a fine sense of line and great feel for the words. When listening to the disc, you never feel the need to resort to the printed words. 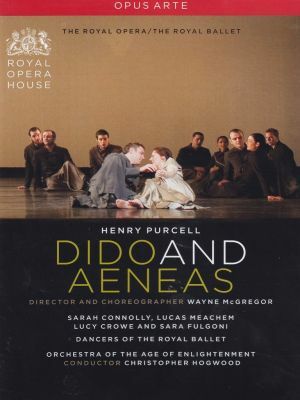 In songs like Of fair Cedaria Dennis brings out the remarkably rhapsodic nature of Purcell's writing... There is a strength and a vibrancy to these performances that I enjoyed, and Anna Dennis gives a striking performance which is well away from a light skimming over the surface. 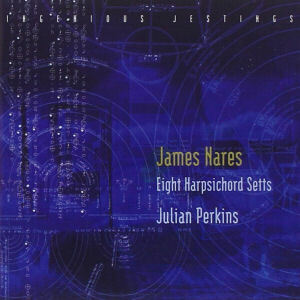 She is well supported by Julian Perkins and Sounds Baroque..'. Following their earlier volume of keyboard sonatas for four hands by Wolfgang Amadeus Mozart (Resonus RES10172), fortepianists Julian Perkins and Emma Abbate here complete their survey. 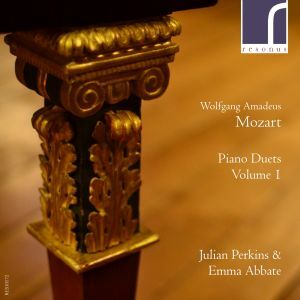 This recording is performed on two period instruments from the Richard Burnett Heritage Collection of early keyboard instruments – a grand piano by Michael Rosenberger from c1800 and a square piano from the 1820s by London’s Clementi & Co.
Julian Perkins joins Emma Abbate to record the first volume of Mozart's complete keyboard duets on original instruments. 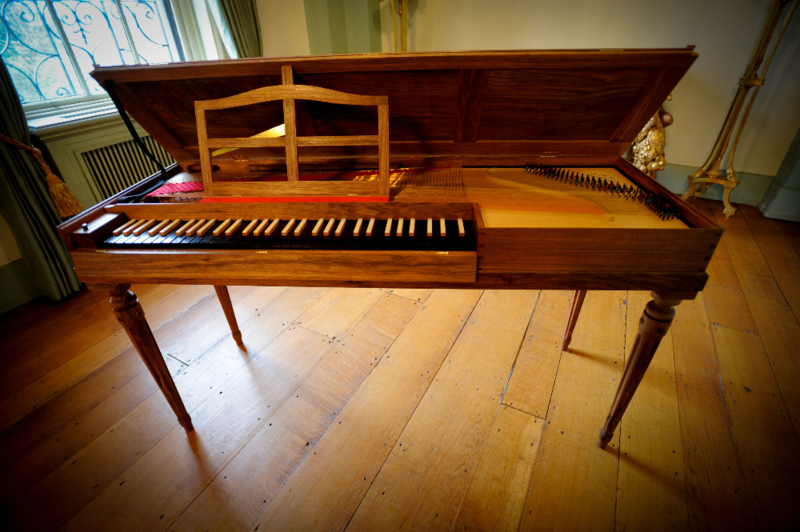 The two original instruments used on this recording form part of the Richard Burnett Heritage Collection of Early Keyboard Instruments: a grand fortepiano by Johann Fritz (Vienna, c1815) and a travelling piano by Anton Walter (Vienna, c1805). 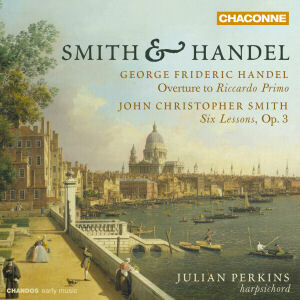 This album represents the final recording made at Finchcocks Musical Museum, and has featured on BBC Radio 3. 'The first impression you'll have by listening to this marvellous series of CD Albums by Julian Perkins and Emma Abbate is the absolute charming beauty of their cantabiles and the authentic brilliant and lively Mozartian verve and spirit which breathes from every note. Their singing and almost operatic style of playing these works 4-hands is finely endowed with a joyous sprezzatura, which this kind of music always always requires, to be correctly performed. '...excellent in all respects. 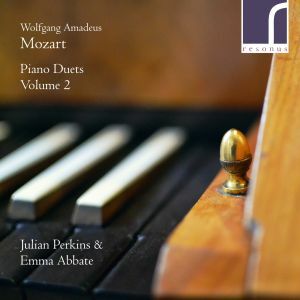 The Fritz piano has full and gracious tonal qualities generously exploited by Julian Perkins (who plays primo throughout) and Emma Abbate, who especially relish exploiting the colours produced by the many imitative exchanges Mozart gives the players. Cantabile Mozartian lines are also beautifully drawn; listen for example to Perkins’ playing of the principal theme of the exquisitely lovely Adagio of K358, the kind of writing that would soon be finding its way into the central movements of the piano concertos. Both players are also untroubled by greater technical demands of K521, the big episode of the central Andante opening out to glorious blossom under the hands of Perkins and Abbate. The square piano on which the little J. C. Bach sonata is played is obviously a more modest instrument, but it has an attractively wheezy bass and the two-movement sonata, consisting of an Allegretto in the fashionable sentimental style and a breezy minuet, is ideal for this repertoire. From 1971 to 2015, the Finchcocks Musical Museum near Goudhurst in Kent was home to a collection of over 100 keyboard instruments plus related artefacts. The instruments ranged from harpsichords, virginals and clavichords to cottage pianos, early grand pianos and barrel organs. Set in an Arcadian oasis, Finchcocks put on thousands of varied events and was a global mecca for both the curious uninitiated and the touring virtuoso. 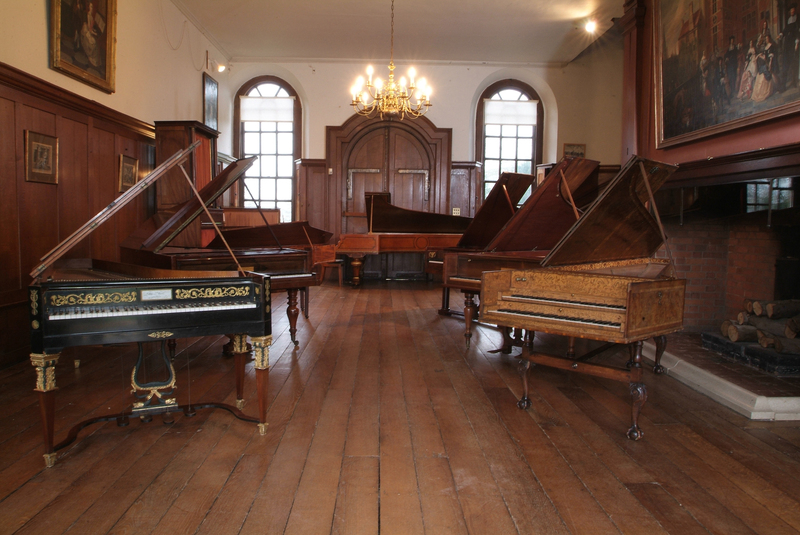 The Finchcocks Charity for Musical Education, founded in 1984, retains a core collection of fourteen instruments from the Richard Burnett Heritage Collection of Early Keyboard Instruments (Julian Perkins and Emma Abbate used two of these instruments for the first volume of their recording of Mozart’s piano duets). The charity will continue to sponsor research projects and to work with students, with a particular – and much-needed – focus on training a new generation of early keyboard instrument restorers, tuners and technicians. Emma Abbate and Julian Perkins are honoured to be playing a part in the charity’s future. I first came to Finchcocks aged twelve and, like innumerable visitors, was enthralled by the veritable menagerie of instruments on which one could actually play at this living museum. Never a fusty institution, Finchcocks always encouraged active participation, and I clearly remember once indulging in far too much hearty food in their Cellar Restaurant before playing the recorder in the annual ‘Young Performers Recital’! A regular guest at Open Days, I will always be grateful to Finchcocks for nurturing my passion for original keyboard instruments. I wrote an article about Finchcocks and the indefatigable Richard and Katrina Burnett for the magazine Early Music Today in 2006, and introduced Emma Abbate to the wayward delights of early keyboards when we performed at Finchcocks on a Clementi square piano in 2007 – our first concert together. The recording that I made of Mozart’s piano duets with Emma Abbate in November 2015 was the last to be made at Finchcocks. I speak for a host of musicians and music lovers in expressing relief that the sale of this Georgian ‘mini-mansion’ is not by any means the end of the story, but rather the end of a remarkable chapter. 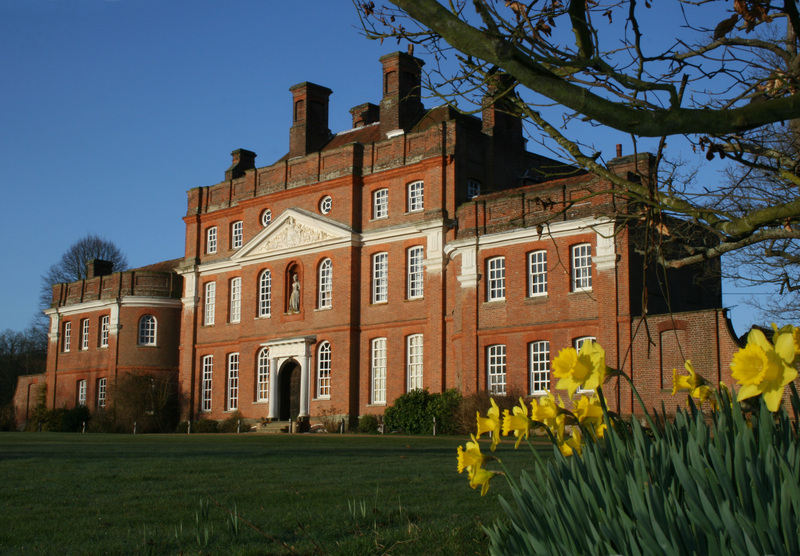 The Great Hall at Finchcocks, in which Emma Abbate and Julian Perkins made their recording. 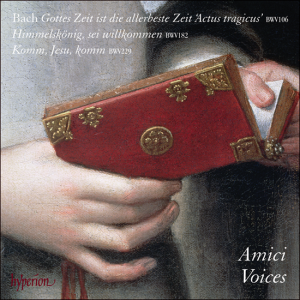 With Sounds Baroque, featuring Anna Dennis, soprano, and Andrew Radley, countertenor. Works by Alessandro Scarlatti, Antonio Caldara, Domenico Scarlatti, Francesco Gasparini and George Frideric Handel. The second in a series exploring the wealth of vocal and instrumental music presented at the artistic gatherings of 18th century Rome’s Arcadian Academy. Soprano Anna Dennis and countertenor Andrew Radley engage in a vocal contest of style and beauty while period instrumentalists Sounds Baroque breathe vibrant life into spirited scores by Caldara and Domenico Scarlatti. 'This is a winner - picture yourself, in October 1708, in the sumptuous surroundings of Rome's Palazzo Bonelli, along with one's fellow Arcadian Academicians, the guests of Marquis Francesco Maria Ruspoli. A civilised entertainment of pastoral cantatas and instrumental pieces by ''Terpandro Politeo'' (Alessandro Scarlatti), his son, Domenico and their colleagues Gasparini and Caldara is galvanised by the appearance of ''Il Caro Sassone'', the brilliant young Handel, showing off his keyboard virtuosity and his startlingly dramatic vocal writing. 'Sounds Baroque follow their debut album (10/11) with another engaging snapshot of the Arcadian Academy's Sunday afternoon 'conversations', magnets for the Roman intellectual elite held in the sumptuous palazzi of Marquis (later Prince) Ruspoli, Cardinal Ottoboni et al. 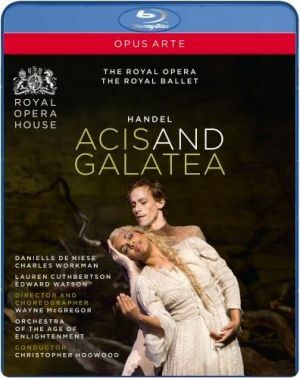 The programme unfolds as a series of musical duels, bookended by substantial cantatas by Francesco Gasparini and Handel, and taking in a fine trio sonata by Caldara and the keyboard works that perhaps featured in the famous Roman gladiatorial contest between Handel and Domenico Scarlatti. With Sounds Baroque featuring Andrew Radley, countertenor. Works by Albinoni, Caldara, Handel, and Alessandro and Domenico Scarlatti. First in a series exploring the wealth of music that may have been conceived for artistic gatherings (conversazioni) in Rome at the turn of the 18th century. The programme is a refreshing mix of chamber cantatas and solo keyboard works. It is instructive to hear harpsichord pieces of Domenico Scarlatti and Handel alongside each other in light of their mutual respect and even some stylistic influence on each other. I also find Scarlatti sonatas easier to absorb when heard in small doses rather than en bloc, as is usually the case. 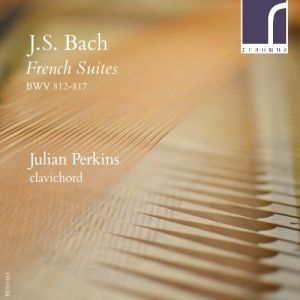 Harpsichordist Julian Perkins is a very congenial performer who conveys an air of effortless virtuosity to this handful of well-chosen works. He plays two rich but contrasting instruments, which are both modern copies of Italian instruments: one from around 1600 and the other after Grimaldi c.1700. Handel's cantatas owed a great deal to Domenico's (hated) father Alessandro, as do those of his contemporaries Albinoni and Caldara. 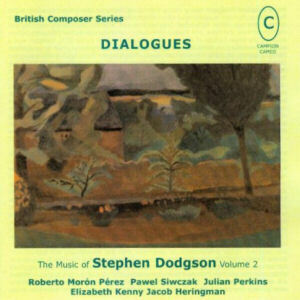 So again, it is clever programming to hear similar works on similar themes by each of these composers. The Sounds Baroque ensemble, which Perkins directs, takes some small liberties with the scoring in one or two works, to suit its make-up of flute, oboe, cello, lute and harpsichord. These, admirably, are acknowledged in the notes and are probably consistent with the liberty contemporary performers would have allowed themselves. 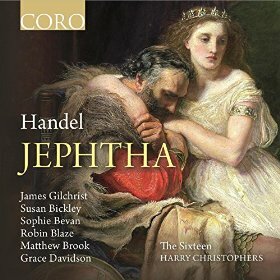 All the cantatas are fine examples of the Arcadian style, in which the loves and losses of shepherds and shepherdesses are depicted with graceful - sometimes slightly ironic - charm and ingratiating melodies... Perkins again shows great quality here and he is very ably partnered by lutenist Andrew Maginley and cellist Jonathan Byers (who soars in Handel's continuo-only Vedendo Amor). 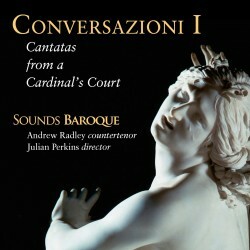 Performer's Perspective: countertenor Andrew Radley reminisces about the making of Sounds Baroque’s debut disc, Conversazioni I. When Julian and I discussed the prospect of recording this disc I was naturally very excited. Rome in the late 17th and early 18th centuries must have been the most incredible place to be a musician; a magnet for all those at the top of their artistic fields whether it was music, art, sculpture, theatre design or architecture. Cardinal Pietro Ottoboni was just one of several influential patrons of the time, and reading through a list of composers and musicians who worked for him is to find a Who's Who of the musical world at the time. It is always a pleasure to trawl through the catalogues of libraries looking for interesting music, and Julian and I have spent many a happy hour in the British Library doing just that. It may be conjecture that many of the pieces we've chosen were performed at an Ottoboni conversazione, but they are certainly representative of the many shifting stylistic trends in the composition of cantatas at this time. Some of the works chosen are better known than others (both Handel cantatas have been recorded several times), but all are testament to the incredible musical goings-on of those composers who worked in or passed through Rome. Why make a recording? Useful as it is in terms of projecting one's work and one's name a little further afield while making a musical contribution to posterity, the joy of making this disc was primarily in getting to spend time with the music and my fellow musicians. As an opera singer, the "band" is so often on the other side of the footlights; met once or twice at a Sitzprobe before disappearing into the pit for stage rehearsals. To be able to see and hear my friends clearly and for us to respond to each other without distance or distraction from wandering wigs, creaky costumes and cumbersome sets, was a rare treat. In short we were able to concentrate entirely on the music. Exploring, rehearsing and performing this programme has been a pleasure from beginning to end. Listening to the disc now and hearing the excellent job our sound engineer, Adrian Hunter, has done in capturing the special acoustics of our recording venue, I'm instantly taken back to the surroundings of Lutyens's church of St Jude's, Hampstead. I can clearly see the muted half-light and feel the somewhat subdued temperature of those December afternoons and evenings, and remember the joy of recording some great music with some great friends. Julian Perkins also sang as a baritone on a number of recordings with some prestigious choirs and consorts, for labels including Decca, EMI and Hyperion.